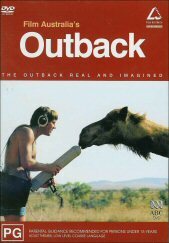 Film Australia's Outback is the interesting look at the history of Australian film and documentaries. These are presented within a series of animated menus that break up the different sections of the disc. Through the lens of the cameras at that time we do get a a look at how life in our country was perceived by both the white populace of the time to the views of the British. It appears that most of the earlier films were sanctioned by the Australian Government (still heavily under the British influence), and were used to depict a favorable picture of our country and all that is in it. A warning to Aboriginal and Torres Strait Islanders that there may be images of the deceased is displayed at the start of the film in respect to them, however I couldn't help but shudder at the way our indigenous people were portrayed at that time. It was worth the inclusion however a bit off putting. There is also a wealth of information in the form of interviews and insights into the filmmaking process in remote areas of Australia. There are also a number of entertaining short films and my favourite would have to be the Bush Mechanics which is also the last short film featured on this disc. On some of the films there is also the option to watch interviews with the filmmakers who let us know what took place during the making of the title. As far as being a DVD title, there is not much enhancement to sound or vision other than the usual benefits of DVD over VHS. The main bonus is the ability to choose what you watch. This is a great disc though it won't appeal to everyone. It gives a good look at Australia over the last eight decades or so and is guaranteed to be entertaining and informative.